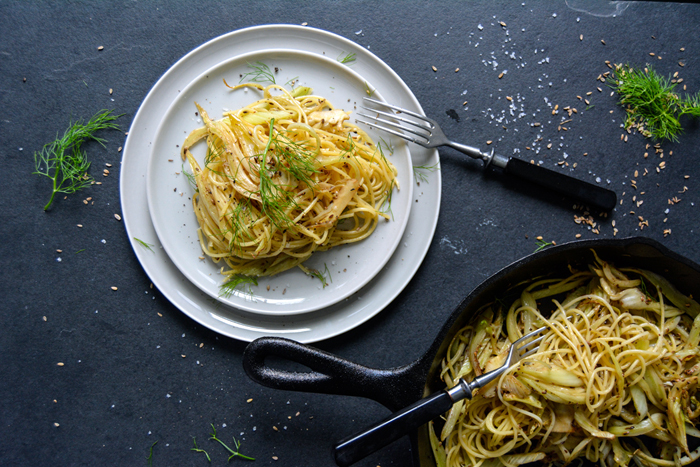 A while ago, I cooked a fragrant pan full of crisp and golden fennel potatoes for us. 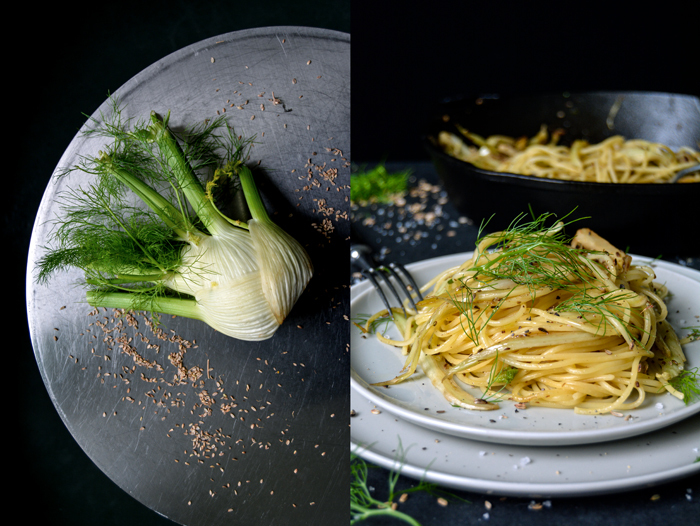 I used fennel seeds and the vegetable’s thinly sliced bulb for this recipe, it was so good that I promised myself that I would use this combination for pasta one day. It took more than 3 months but it’s finally on our plates and my feeling was right, it works equally well with both. The crisp vegetable adds a fresh touch to this dish, its distinct flavor is softer than the seeds, it’s almost citrussy. The seeds however add a warming depth, I roast them in a little olive oil to enhance their fragrant aroma and turn them into crunchy bites. You just have to be careful not to burn them, they taste bitter if they become too dark. It was a quick one, all in all this meal only took 10 minutes to prepare. 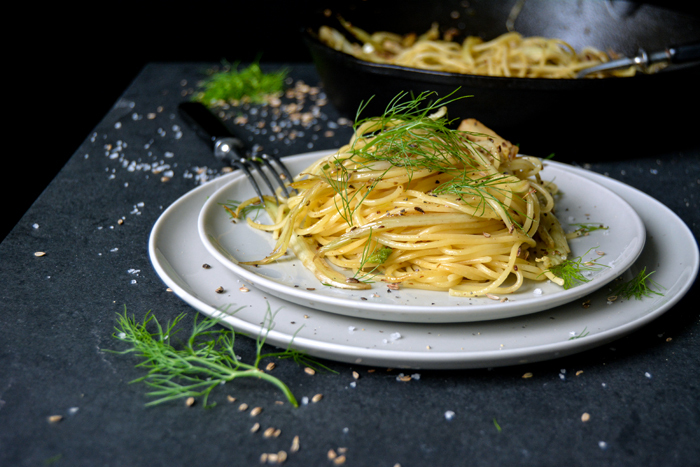 Once you throw the pasta into the boiling water you only need 3 minutes to cook the fennel before you mix everything with flaky sea salt and coarsely crushed pepper. It’s the perfect busy weekday or lazy weekend dinner! 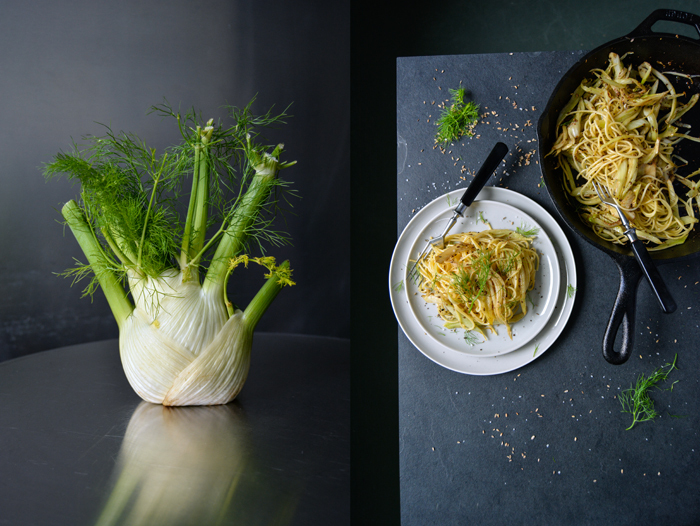 Heat a splash of olive oil in a large heavy pan and cook the fennel seeds on medium heat for about 1 minute (they shouldn’t get dark!). Pull the pan off the heat, take the seeds out with a spoon and set them aside. 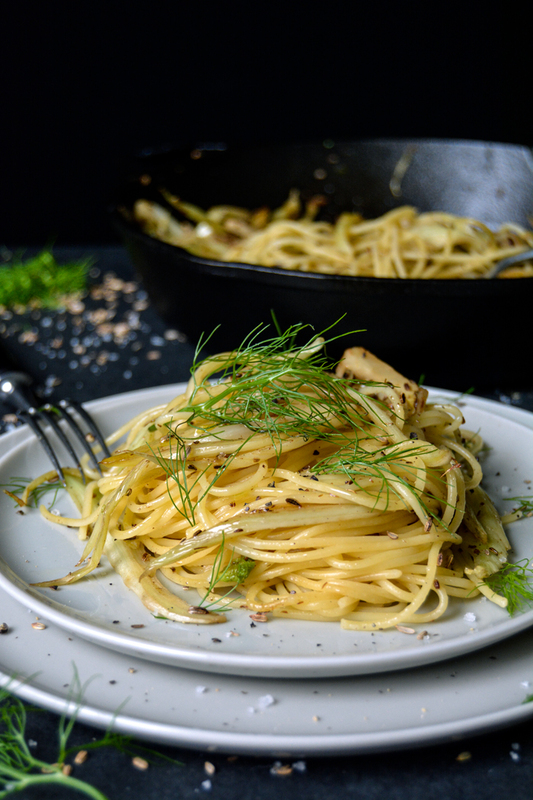 Put the pan back on the heat and add the sliced fennel, sauté on medium heat for about 2-3 minute, the slices should be between al dente and soft. 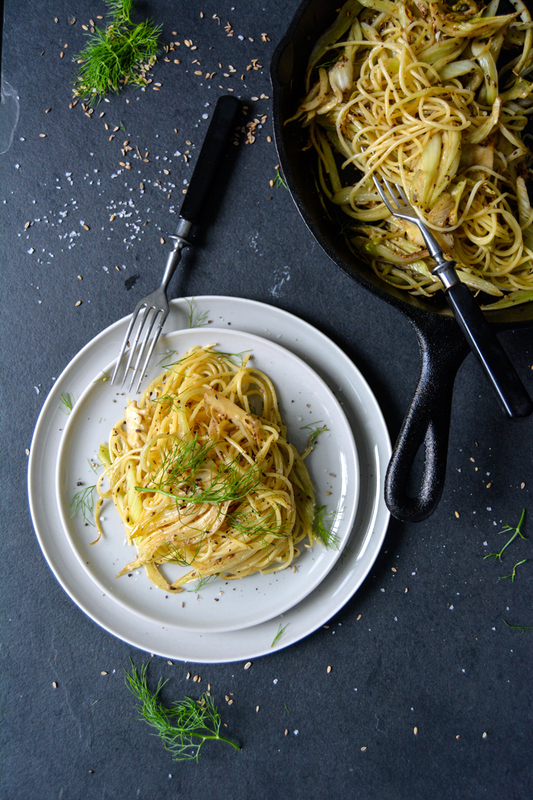 Stir in the spaghetti, fennel seeds and a splash of olive oil and season with sea salt and crushed pepper to taste, serve immediately. Very nice, gave me good inspiration (I added some thin sliced waxy potatoes, some little cubes of kolbassa, mushrooms and some diff spices and made a great addition to buttered pasta. Thanks! !